We’re going to be putting a little seed to ground today here in hell’s half acre. 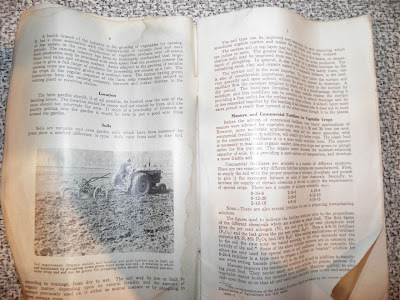 I though it was more than coincidental that we found an interesting publication at the little house that was meant to inform about all particulars on doing just that. 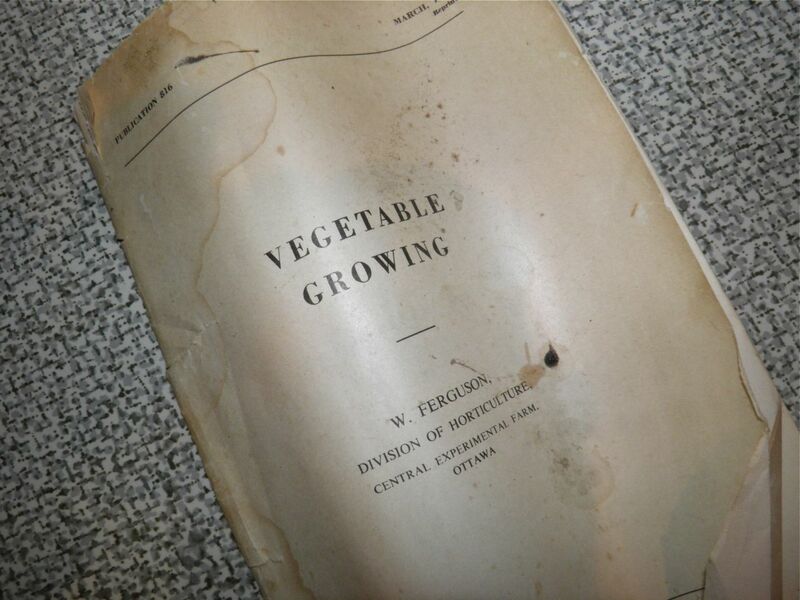 Its title is Vegetable Growing. 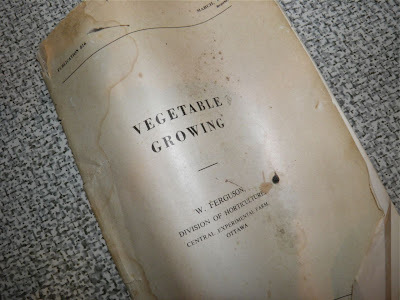 It was published in 1954 by the Canadian Department of Agriculture, Central Experimental Farm, Ottawa. I have no idea why it was here at this house. There was never a garden here. My maiden aunts were too elderly when they built it to be able to do anything like it advocates. Maybe it appeared to give us hope. The publication lists at least 30 different vegetables with tips on how to grow and tend for maximum yield. 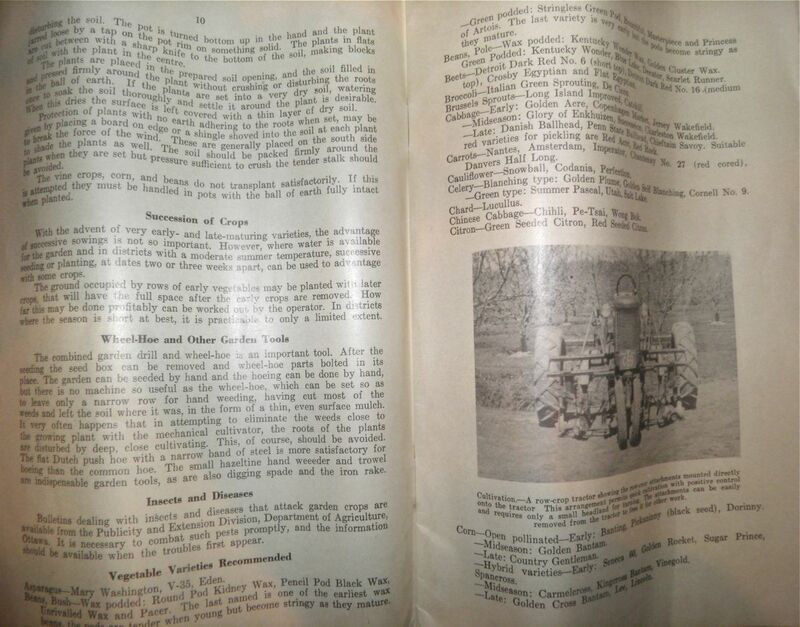 There are also chapters on soils, manuring, hotbeds for starting seeds, transplanting, succession of crops (so you have continuous yield), recommended varieties and even canning. I have reproduced a portion of the introduction, broken up for online readability. It was one long paragraph. 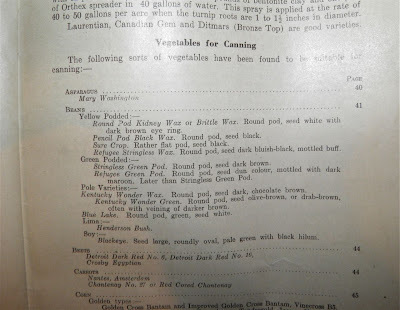 Take notice about how different our food supply chain is now. No longer does every house with a little land or small farm have a vegetable garden; there are no vegetable gardens outside every larger city or town. Our “sufficient land” is now covered in McHomes, all slapped up quickly and sold as luxury residences, fanning wide outside our city cores. Where does our food come from now? I currently have a squash on my counter – that was grown in Cuba. That says it all. We should all try to grow a little of our own food, even if it’s a patio garden with tomatoes, herbs and something vertical like beans. Every little bit helps – the environment, our health and our wallets. It is most likely the key to our common future. Also, don’t forget those farmers marketers. The brave souls who still make a living by putting tiller to soil are the descendants of the folks this pamphlet was directed at. They still know that our food production has to be local, and sustainable. By supporting them, you support us all. 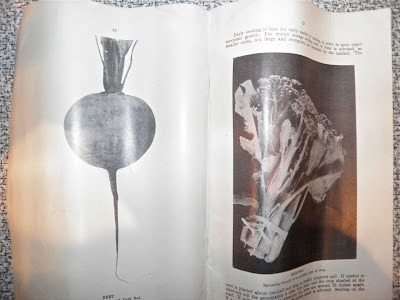 Since vegetables are grown far more extensively than the average person realizes, it would be as well (sic) to show the various branches into which production falls. In the first instance the home garden is one of the most talked of each spring and through summer. Almost every farm has a plot where fresh vegetables are grown for immediate use and in every village, town and city where there is sufficient land attached to the home, gardens of varying size are to be found. 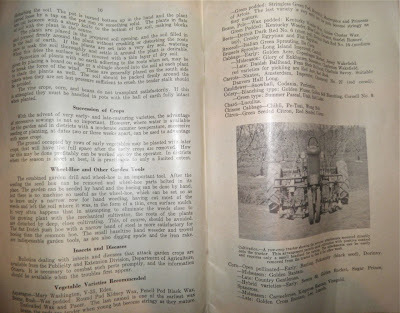 These home gardens, both rural and urban, produce a very considerable amount of the nation’s cheap but wholesome, high value food, but unfortunately it is impossible to get a correct estimate of this production or of its dollar value to this country. The value of this production can hardly be placed too high. During the years of food scarcity or depression, large areas around towns and cities are devoted to vegetable gardens. Phenomenal yields are often obtained and large portions of the population provided with wholesome food. 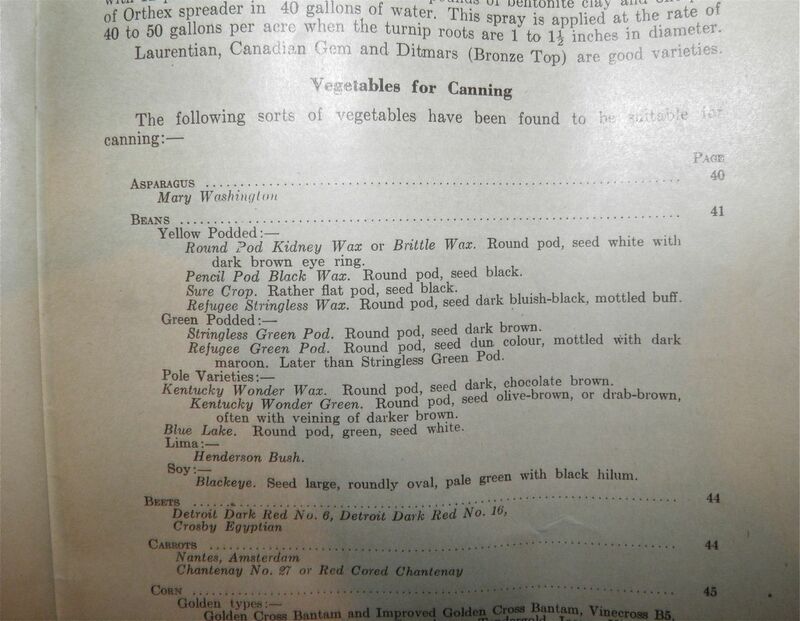 The second branch of the vegetable industry, market gardening, is a very important enterprise usually found in the vicinity of each large town or city. Now our arable land is covered in sprawl. Those areas that were meant to feed us are no longer available. So what do we get? Squash from Cuba. There's a cautionary tale here, is there not? 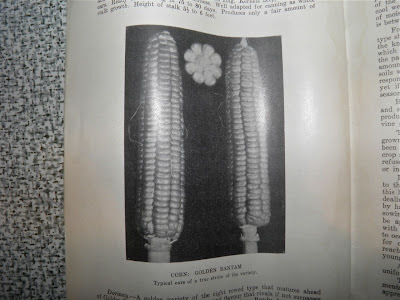 Is our corn genetically modified? 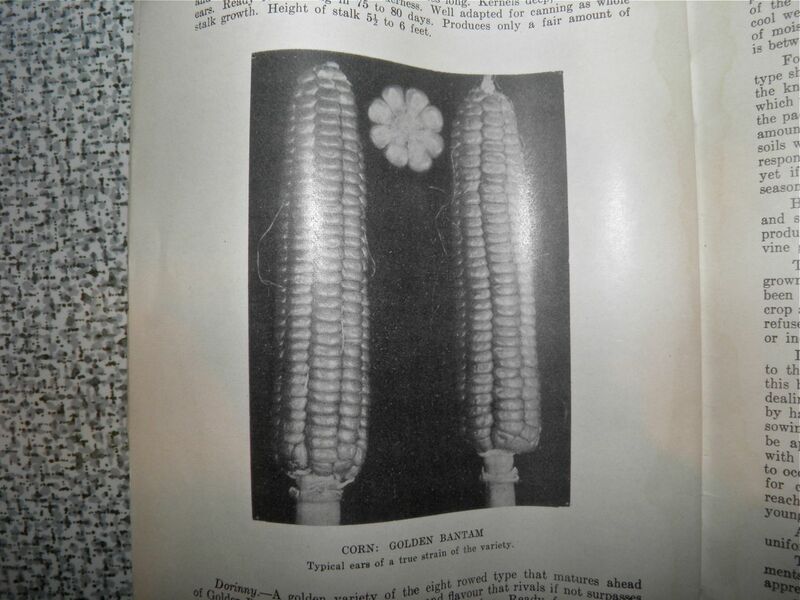 This is a photo of a "typical" corn. 8 rows.